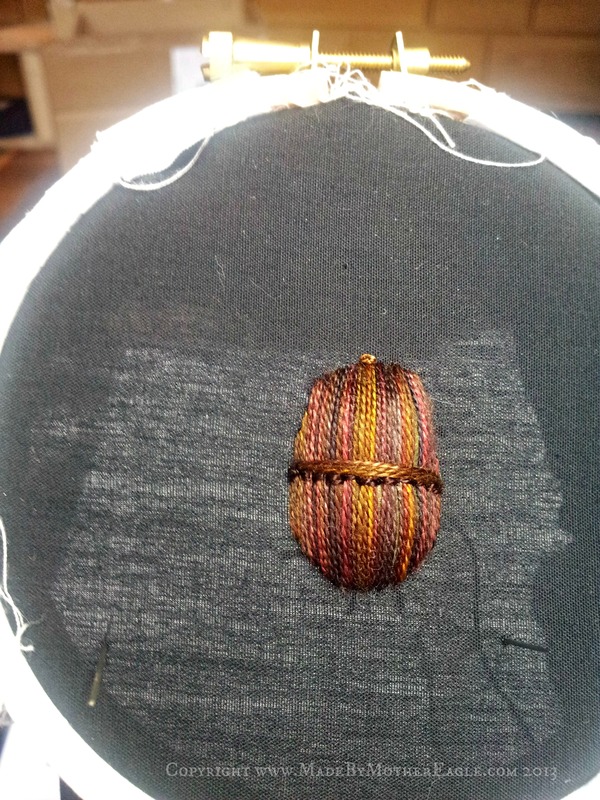 Having looked through my mini-library of stumpwork books I knew I wanted to do a padded slip, overstitched. 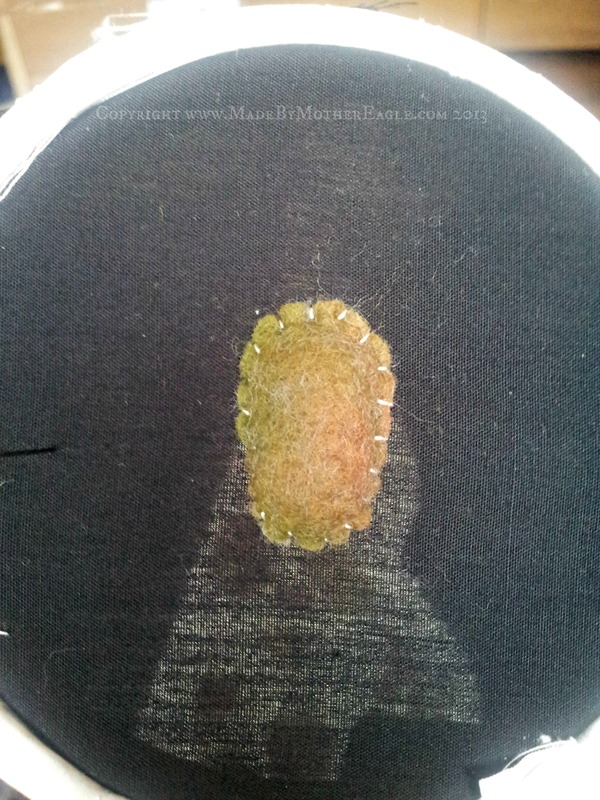 So first up I drew a vague acorn shape on some wool-viscose felt to provide the base. 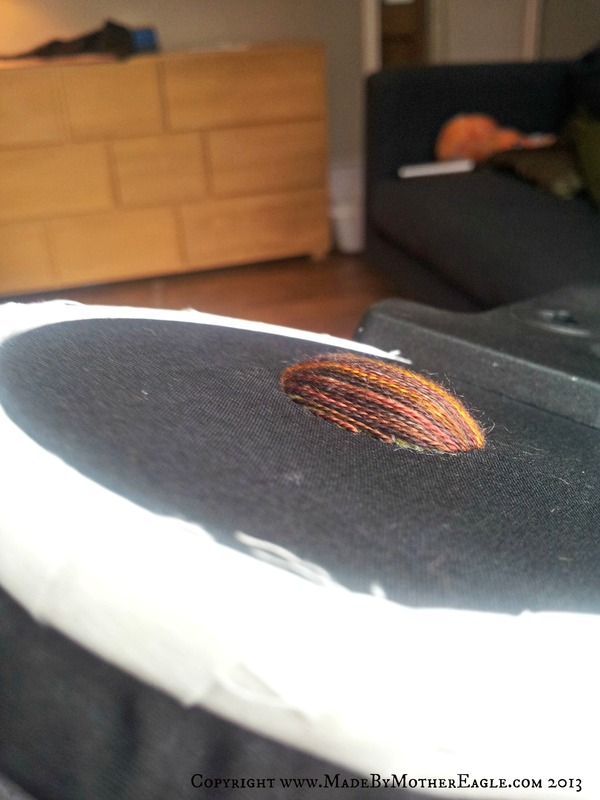 Then using stab stitch I attached it to the black cotton ground fabric, leaving space for the stuffing. 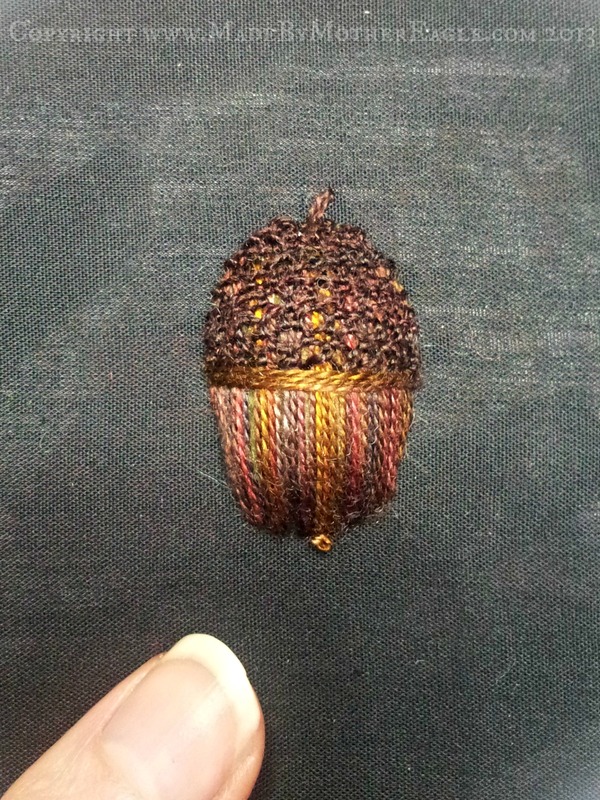 I realised at this point it would look more acorn-y the other way around, so after filling it with cotton batting I flipped it and began covering the whole thing in long satin stitches in variegated silk. 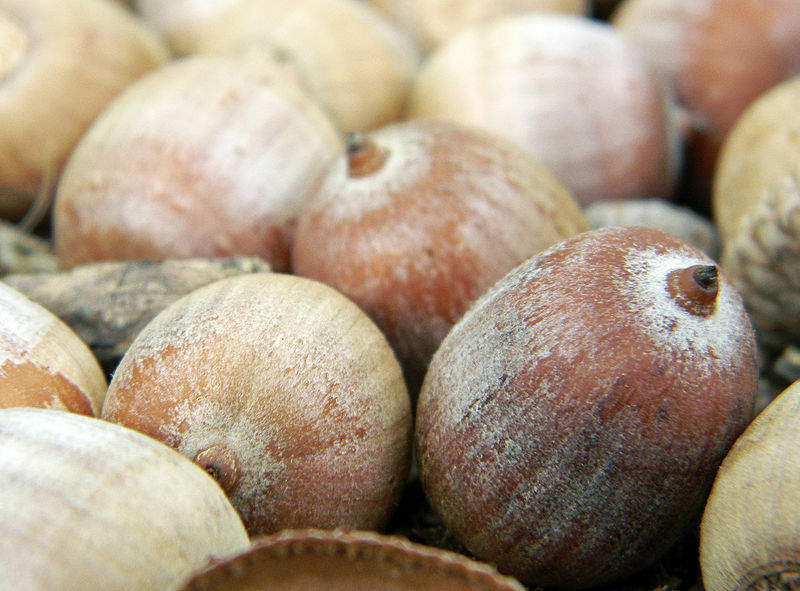 Completely covered it’s a little stripy but I think that’s good for an acorn – see? 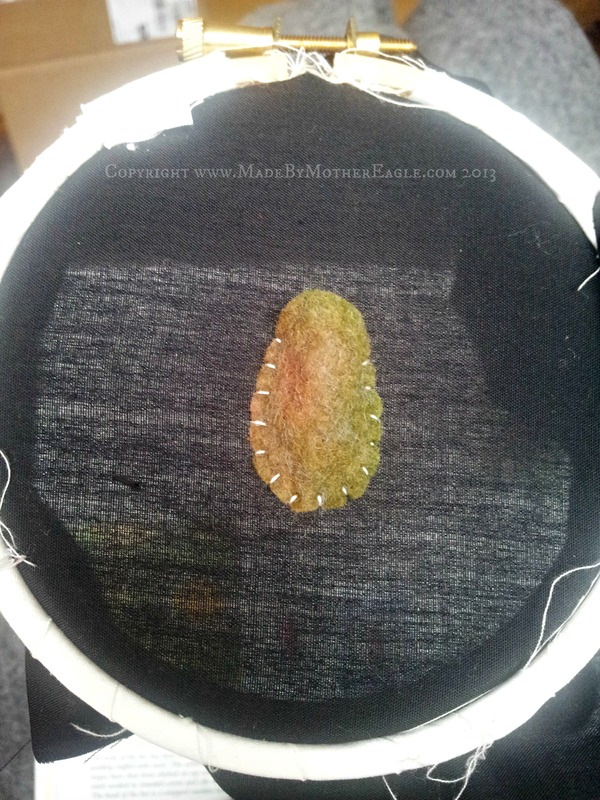 Then I attempted some needlelace over the top to provide the cap. 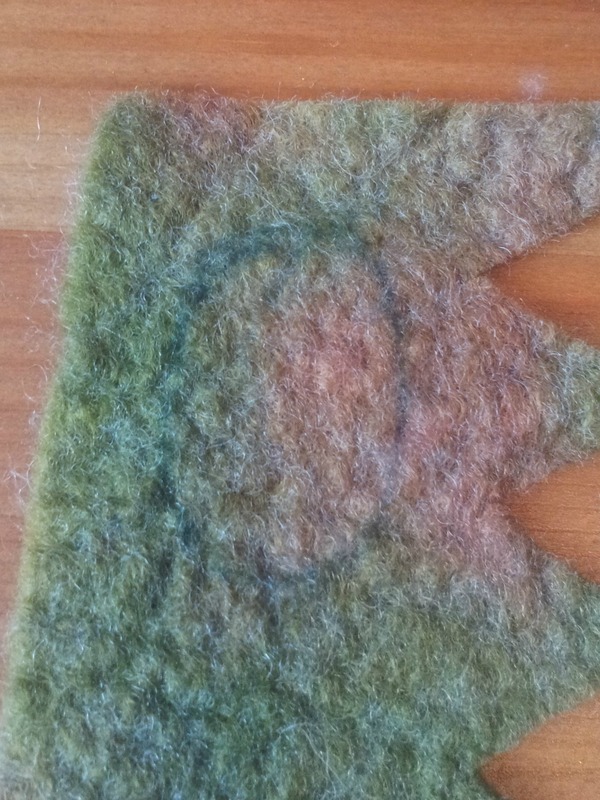 The last time I did needlelace was the first time I ever did any stumpwork, when I did my Death Cap Toadstool sampler. 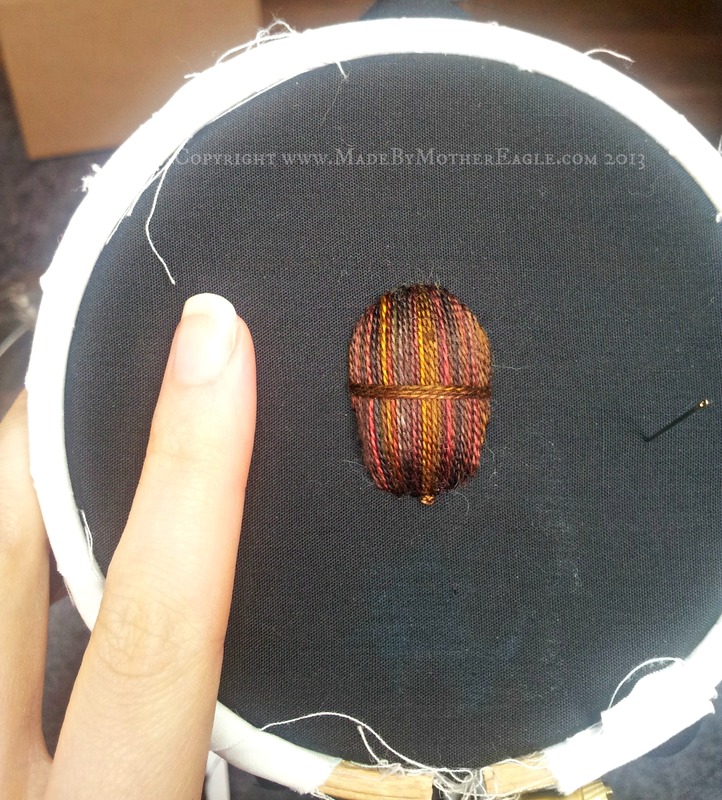 I found it pretty difficult back then, even though it’s actually quite simple stitches, but it’s the way all the knots you make seem to start to blend into one another so you’re not sure if you’re inserting in the right place. 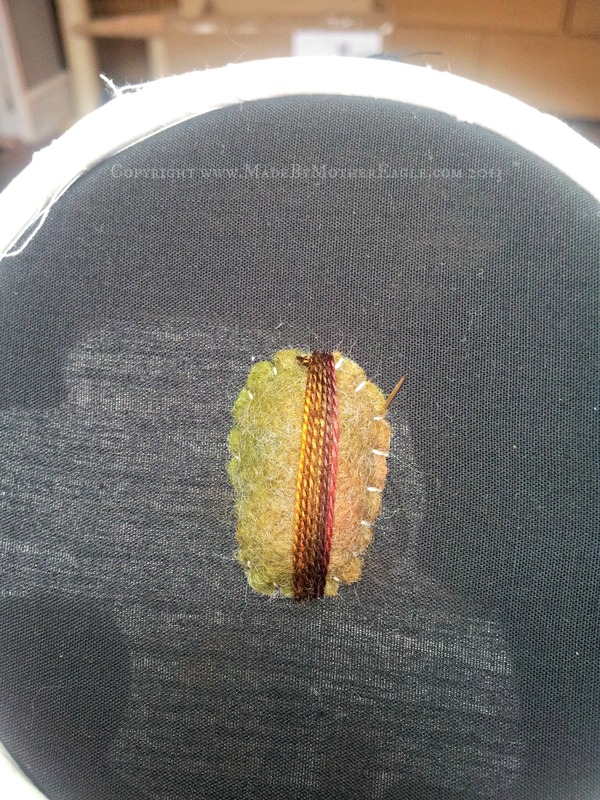 Especially as in this case the background is a similar shade to the thread you’re using. 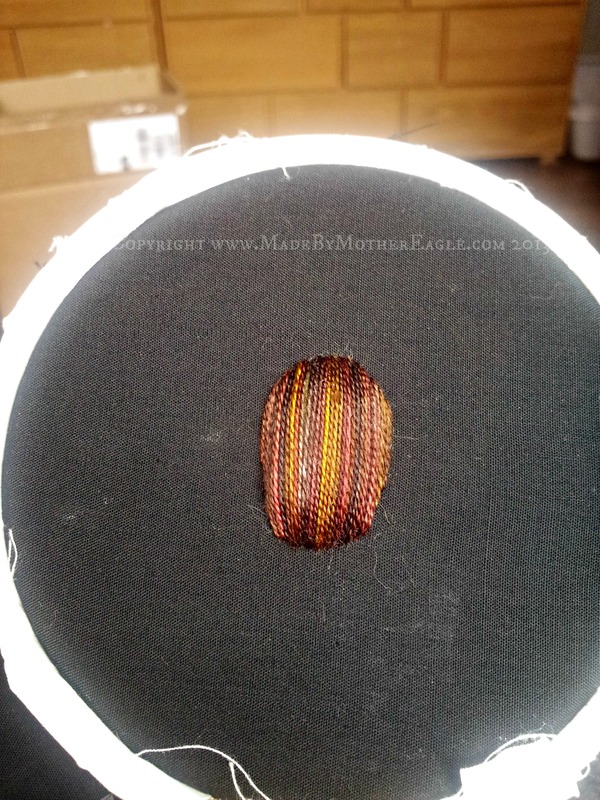 This particular kind is trellis stitch and is worked into an initial line of back stitch and then looped knots back and forth, only attached at the edges. I used a darker shade of brown silk for this. Actually pretty happy with how it turned out, although I am now going to add an oak leaf motif behind it as frankly, unless you LOVE acorns, it’s a pretty boring pendant on it’s own. A brown blob. I like seeing your step by step progress. Not really a tutorial but they give a novice encouragement.